Welcome to the May 2015 ProQuest Health and Medical content update, focused on keeping you informed of the journal, grey literature, books, and other material in ProQuest’s health and medical databases. 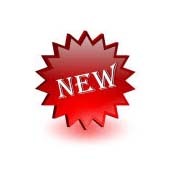 This update contains content changes from January 2015 through March 2015. 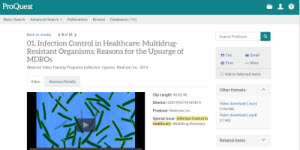 61 ongoing full-text journals, including 58 scholarly titles, were recently added to ProQuest health and medical databases. These titles add coverage to your existing holdings in biology, health administration, medical sciences, nursing, allied health, and other medical disciplines. Ongoing full-text coverage for nine titles has been discontinued. Full details are provided here. Note: backfile remains for all nine titles. Full-text indexing of ProQuest scholarly journals in Google Scholar is expected later this year. The collaboration between Google and ProQuest enables authenticated ProQuest users to be recognized when they search using Google Scholar, directly connecting them to full-text scholarly content in their libraries’ collections. Read this article for more details.